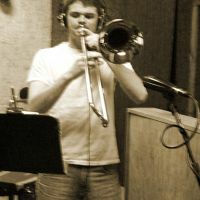 Additional Info: I am a trombone player of 12 years currently studying trombone and music composition. I play with several rock bands regularly along with performing session work from time to time. I have served in the US Army Band for 5 years and have performed with Danny Seraphine, Benny Hinn's Praise Band, Steve Torme Sings Mel Torme, and other various big bands, rock bands, beach bands, orchestras, and brass ensembles. I enjoy teaching anyone who wants to advance their proficiency, but I specialize in beginners of all ages. Through a carefully structured learning track that can be tailored to one's specific needs, I aim to keep the performance curve as close to the learning curve as possible. All of my current and past students have been placed in the South Carolina Region and All-State bands, and sit at the top of their sections in their bands at school. My teaching hours are flexible, and can also be tailored to one's needs.